Compliance issues are a problem in any industry—harassment, wage and hour violations, and information security are all important. 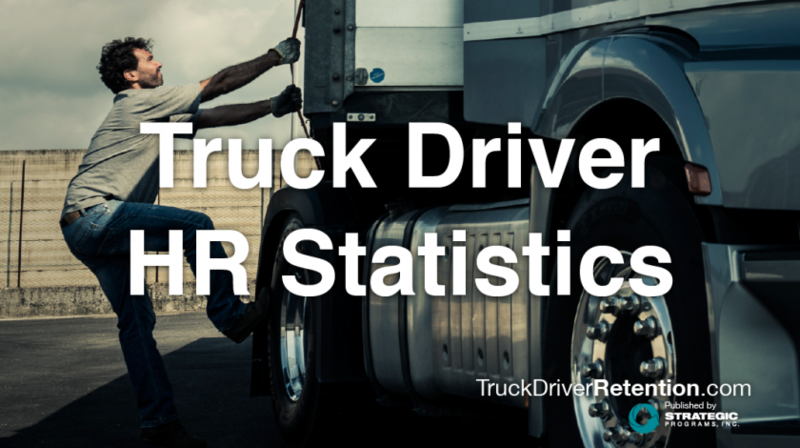 Any concerns in these areas or others must be monitored and addressed; however, some of the compliance issues faced by the trucking industry are potentially life-threatening for drivers and anyone around them. If there are time log violations, or evidence of drinking and using drugs while on the job, a carrier needs to be aware of and address those issues immediately. Background screening and monitoring systems exist to help companies maintain compliance and keep track of driver performance. The Compliance Action Tool (CAT) created by Strategic Programs, Inc. is an example of a tool that helps companies compile data and increase awareness of these issues so that they can be managed before they become a problem. When the board of directors of one of Strategic Programs’ clients was made aware of a severe harassment issue long before the human resources team heard about it, the client realized they needed a compliance tool. The harassment claim helped them realize that although they were conducting surveys to gather employee feedback, without a system or tracking tool in place, they weren’t able to track and manage compliance issues. That’s when they worked with Strategic Programs to develop CAT. CAT not only helps companies identify red flag issues related to compliance and integrity, but it also provides a system of record for online tracking and monitoring of action. The client who first brought this need to Strategic Programs has seen a return on their investment. “They estimate that the tool has helped them stop litigation potential with at least one case each year,” said Megan Younkin, Consulting Manager at Strategic Programs. What makes CAT unique is that while it is an online tool, it fits seamlessly into the survey process by compiling data collected through online and phone surveys. 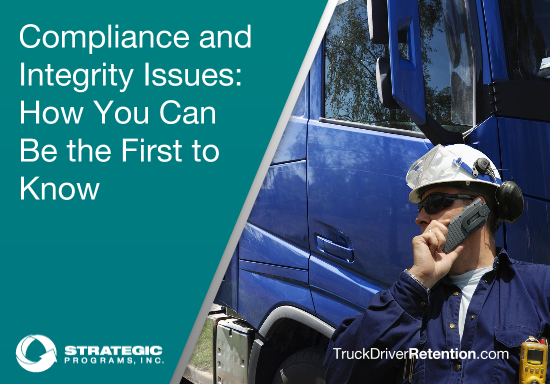 During the survey process drivers are asked: “Are there any compliance or integrity issues you want to report?” As driver feedback is collected, Strategic Programs interviewers are monitoring feedback for any compliance matters about which their clients need to be aware. If any other issues come up when responding to other survey questions, the interviewer will follow-up regarding those issues as well. For feedback collected via the online survey, the research team reviews the qualitative feedback to find any problems reported. If there is evidence of a compliance issue that indicates someone would cause harm to themselves or others, Strategic Programs immediately contacts the employer and lets them know. Priority 1: Take action within a week. Priority 2: Take action within two weeks. Priority 3: Take action within four weeks. For CAT to be useful there needs to be an established plan in place for managing these issues, whether it’s following best practices that the team at Strategic Programs shares, or a company-specific process that helps ensure issues are monitored and appropriately assigned for follow-up. The power of the tool lies in not just being aware and collecting the data, but also in acting on it in a timely manner to address red-flag issues such as fraud, safety concerns, sexual harassment, bullying, and racism. Unfortunately, it’s impossible to completely avoid compliance issues—they will come up in any business. However, keeping track of compliance issues can save your organization millions of dollars. Addressing the issues helps you avoid expensive litigation and protects your company’s work environment and reputation.